An iterprofessional workshop designed for psychologists, physicians, juvenile law attorneys, judiciary, policy makers, administrators and mental health practitioners. This one-day workshop will focus on recent research investigating the many different pathways through which children and adolescents develop a propensity to act in an antisocial and aggressive manner and the implications of this research for both the assessment and treatment of antisocial individuals. Antisocial and aggressive youths are a significant concern for the juvenile justice system, the education system, and the mental health system. Despite the fact that a great deal of research has been conducted with such youths, interventions provided in each of these systems have often not been guided by this research. The purpose of this workshop is to describe research that has differentiated among subgroups of antisocial and aggressive children and adolescents, each showing somewhat distinct causal factors. The workshop will focus on understanding the developmental mechanisms that may be disrupted by these risk factors and how these mechanisms may differ across groups. A specific focus of this discussion will be on research conducted by Dr. Frick over the past 25 years that has identified a group of antisocial youth with callous-unemotional traits who seem to have deficits in their conscience development. 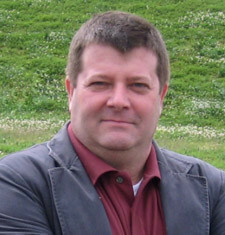 Paul J. Frick, Ph.D is University Distinguished Professor and Chair of the Department of Psychology at the University of New Orleans. Dr. Frick has published extensively in peer-reviewed publications, books, and test manuals. A continuing line of research focuses on understanding the different pathways through which youth develop severe antisocial behavior and aggression and the implications of this research for assessment and treatment. His work has been funded by the National Institute of Mental Health, Office of Juvenile Justice and Delinquency Prevention, and the John T. and Catherine D. MacArthur Foundation. Jointly provided by Creighton University Health Sciences Continuing Education and the Nebraska Psychological Association. 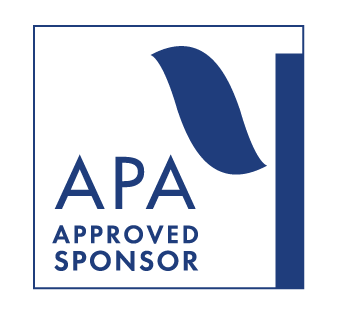 The Nebraska Psychological Association is approved by the American Psychological Association to sponsor continuing education for psychologists. The Nebraska Psychological Association maintains responsibility for this program and its contents. Participants attending this conference can receive 6 CEs for psychologists. This program meets the criteria of an approved continuing education program for mental health practice. Category 1: Creighton University Health Sciences Continuing Education designates this live activity for a maximum of 6.0 AMA PRA Category 1 Credit(s) TM. Physicians should claim only credit commensurate with the extent of their participation in the activity. Accreditation Statement: This activity has been planned and implemented by Creighton University Health Sciences Continuing Education and the Nebraska Psychological Association for the advancement of patient care. Creighton University Health Sciences Continuing Education is accredited by the American Nurses Credentialing Center (ANCC), the Accreditation Council for Pharmacy Education (ACPE), and the Accreditation Council for Continuing Medical Education (ACCME) to provide continuing education for the healthcare team. NPA certifies this activity has been approved for CLE credit in the State of Nebraska. Attorneys attending this program receive 6 Nebraska CLEs.